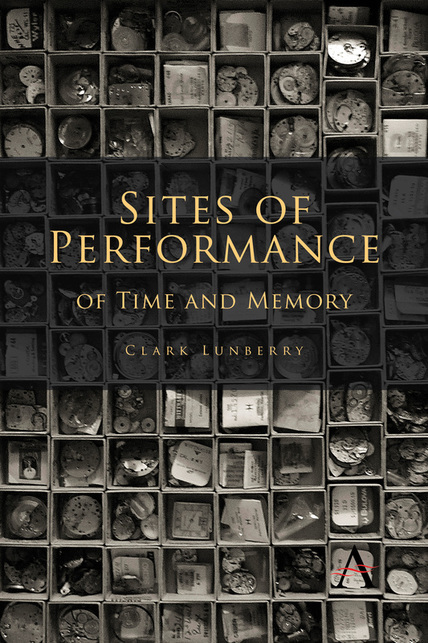 "Sites of Performance offers an original approach by foregrounding Lunberry’s personal (and subjective) experience as a spectator. Weaving together analyses of traditional performance genres with other platforms for performance, Lunberry finds resonances in disparate though linked forms to demonstrate the complemen-tarity of different spectatorial experiences . . . The strength of the book lies in the author’s exploration of his personal memories, writing and rewriting his own experiences of the performances he discusses. By interrogating his own processes of perception and self-reflection Lunberry creates a complex reading of the relationship between spectatorship and mortality, illuminating our tenuous relationship to time." A primary focus of Sites of Performance is on the impact of time and memory as they intersect and constitute the spaces of theatre. These spaces include more traditional sites of theatre, such as those involving stages and curtains, actors and audiences, as well as those other theatres or spaces of performance that range from performance and installation art, to the performance of a string quartet, and from the writing of performance, to the performance of writing. What unites them is the presence of time as the constant and corrosive agent of theatrical absence, a vanishing site that finally affirms these theatres as theatres of thought, as spaces of thoughtful and mirroring reflection. With such time in mind, attention is directed toward theatre’s own blurred and porous boundaries and, implicitly, that most conventional theatrical form, the proscenium itself, evoking questions such as: where does the performance begin and where does it end? Who is watching and who is being watched? And what, as time takes its toll, is there to be seen at all? For it is from this demarcating line of representation that – like a ‘line in the sand’ – such spaces of thought, theatrical or not, largely determine where the various forms of representation begin and end, where time is told of others, and where time is finally told of each of us.